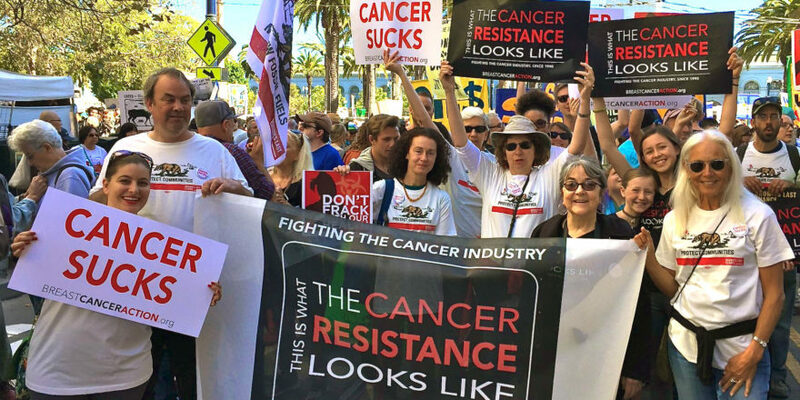 Fossil fuels are fueling cancer. That’s why we and over 800 coalition partners are escalating our tactics to keep the pressure on California’s Governor Jerry Brown, as part of the #BrownsLastChance campaign. Gov. Brown’s oil industry-friendly policies put our air and water at risk of contamination from the chemicals used in oil and gas production—a concern not just for Californians, but everyone across the country. And together we can do something about it. The majority of women diagnosed with breast cancer have no known risk factors. But research shows that exposure to multiple chemicals on a daily basis, from many different sources, increases the risk of developing the disease. Over 700 chemicals are commonly used in the process of drilling and fracking for oil and gas. At least 25 percent of these chemicals increase our risk of cancer and 30 percent are hormone disruptors. With almost 1.7 million active oil and gas wells in the U.S., over 15 million people live within a mile of an active fracking well. In California, the 3rd largest oil-producing state in the nation, nearly 860,000 people live within a mile of an oil well. Help us flood Gov. Brown’s office with hundreds of postcards. Frontline communities have an increased risk of asthma attacks, higher hospitalization rates, more rashes and upper respiratory problems, and a higher risk of cancer down the road. But no matter how far from or close to drilling sites we live, we’re all at risk. That’s because there’s no doubt that fossil fuel production at every stage adds to our risk of cancer, while also contributing to climate change. Make your voice heard. Join the thousands of people across the country demanding Gov. 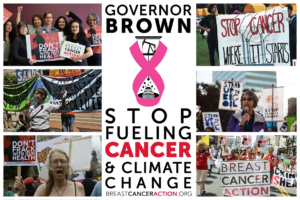 Brown stop fueling cancer!